Persona 4 Golden is a PS Vita remake of 2008's Shin Megami Tensei: Persona 4 for the PlayStation 2. This remake brings with it a lot of additional voice work, new in-game content, extra difficulty modes, online additions and a whole lot more. If you're reading this review as a fan of the original Persona 4 looking to decide whether or not picking up this remake is a good idea, I'll stop you right here and now: yes, buy it. The stuff exclusive to this remake basically turns it into a new game. Don't worry, the recommendation will be the same for new-comers as well. PS Vita owners aren't exactly awash in great content yet. There are some banner titles out there well worth a look, but I'll argue that Persona 4 Golden is likely the best option for gamers seeking a high-value title with plenty to offer. I haven't beaten Persona 4 Golden. I'm willing to place that disclaimer near the top of this review in addition to below the score. I'm 40 hours into the game, and I figured that was enough time to begin the process of putting my thoughts down on metaphorical paper. I intend to finish Persona 4 Golden in the coming weeks. If my opinion changes, you'll find this review updated. However, with more than 40 hours spent living the life of one Japanese high school student straddling the real and television worlds, I'm confident with what I have to say about Persona 4 Golden. Persona 4 Golden is one of the best RPGs I've ever played. RPGs typically reward gamers willing to approach adventure with a slow and methodical pace. JRPGs especially make use of finite stat management and character development in order to reward long playing gamers with hard fought battles and rolling storylines. Recently, the convention of western RPGs has been to ignore stat mongering and move more in favor of an emphasis on action and quick reward. Look to games like Mass Effect 2 and Dragon Age II for proof of this simplifying direction. Rather than asking gamers to mind each and every facet of their campaign, AAA RPGs ask them to sit down and shut up. The result doesn't always succeed, but it's a way for publishers to make their titles more friendly to all-comers. There are exceptions, of course. The Elder Scrolls V: Skyrim is a great example of rewarding dedicated players with incredible weaponry, armor and quests. But, by and large, the direction of the western gaming world and RPGs is one of simplification over complication. 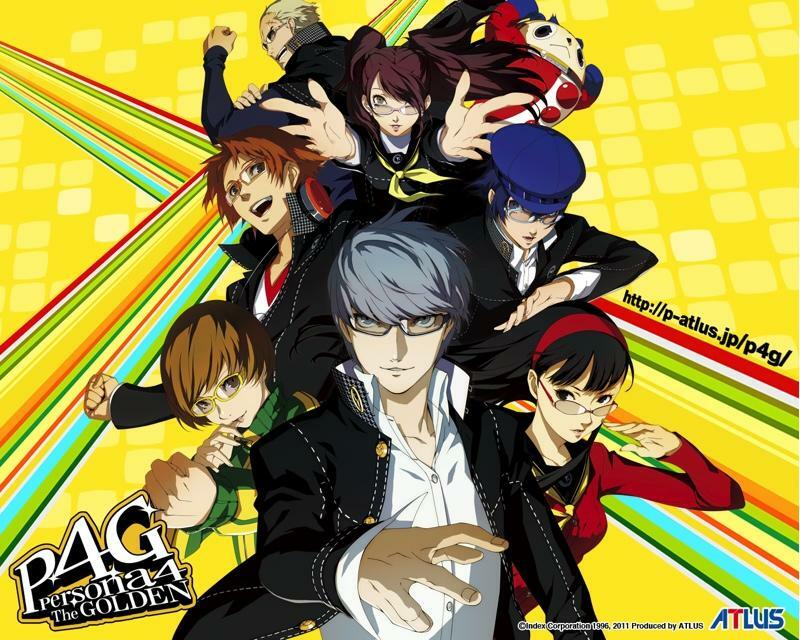 With Persona 4 Golden, players are ushered into a world of perfectly blended casual play and stat management. 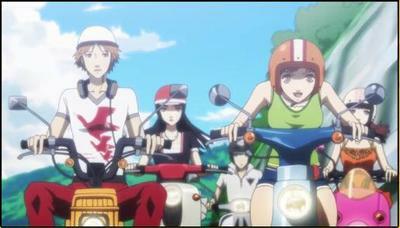 The protagonist moves from a big city to the small town of Inaba. Once there, murders start to happen. Players learn that they can explore a unique world by entering televisions. That ability proves crucial to solving the original murders and preventing more from occurring. In a simple synopsis like this one, Persona 4 Golden sounds nuts. You'll spend a great deal of the game talking to people, building relationships and exploring a small Japanese suburb in order to solve a mystery. That downtime is matched with dungeon crawling and well-paced turn-based combat. The dungeons can get a little boring with their random generation, and the menu systems are less than perfect, but these are minor complaints for a grand scheme. Persona 4 Golden is a marriage of exploration, discussion, fighting and reward. Where some RGPs claim ownership of a great battle system, strong character development or a solid storyline, Persona 4 Golden boldly declares that it does all of these things well. Persona 4 Golden is a marriage of exploration, discussion, fighting and reward. Slow down and make some friends. Beyond that perfect marriage of mechanics, what I think Persona 4 does so well is the way it encourages players to slow down. Perhaps that's why it works perfectly on the PS Vita. In the first ten hours of the game, you'll maybe spend two of them in combat. The rest of the time you'll spend walking around town, watching cutscenes and learning what the game is all about. Essentially, Persona 4 works like this: when you aren't in dungeons fighting and leveling up, you're in the real world building relationships. The strength of those relationships (they're called "Social Links") directly affects your ability to fuse and create new personas. That strength also affects the abilities of your party members in combat. Now, "Personas?" Personas are what your collect and fuse in order to use special abilities in combat. They're represented by unique characters, demons, monsters and other magical creatures. Each one is different and packs new strengths and weaknesses. The stronger your Social Links are, the stronger your Personas are and the easier battles become. That means a tremendous emphasis is placed on building relationships with characters in the real world. Those relationships are crucial to your success in combat. Ignoring them will make you a weaker player and possibly lead to a terrible ending. This game takes place over the course of a year. You live out each and every day from start to finish. How you spend your time during the day, whether it's with talking to friends, buying gear or taking part time jobs, will dictate your success in the storyline. Persona 4 Golden is a game of love and addiction. 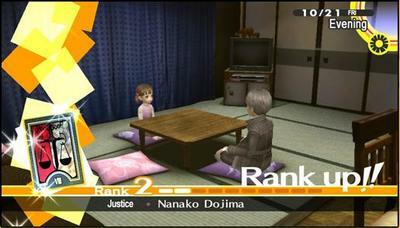 By forcing players to slow down and talk to people, Persona 4 creates an illusion of bonding. Over the course of your time with the game, you'll fall in love with the well-made characters around you. Whether your seek a relationship with Chie or aim to become best buds with Daisuke and Kou, the virtual bonds you form with these characters over the potentially 100 hour campaign are incredible. The game is addictive. Reward and progress is doled out at such a slow and rhythmic pace that you'll often find yourself saying, "okay, just one more in-game day before bed." That day of game time turns into weeks and months before you know it. With the PS Vita, it's incredibly easy to pick up the title and play for 15 minutes in between spouts of work or, say, tidying up. I will say this: RPGs of this nature aren't for everyone. The pacing, the combat and the focus on dialogue are all hallmarks of the genre. Persona 4 Golden nails each of them completely, but those mechanics aren't ones that every gamer will love. With that in mind, Persona 4 Golden stands as one of the best games for the PS Vita. If you're even a mild fan of RPGs, pick it up. We purchased a copy of Persona 4 Golden for the PS Vita with company funds. We played the game for more than 40 hours before starting this review. We have not completed it yet.